Some magi, as they learn about the world around them, and learn the truth of the suffering and squalor in which humanity too often lives, find that they cannot bring themselves to be cloistered into a life of study. 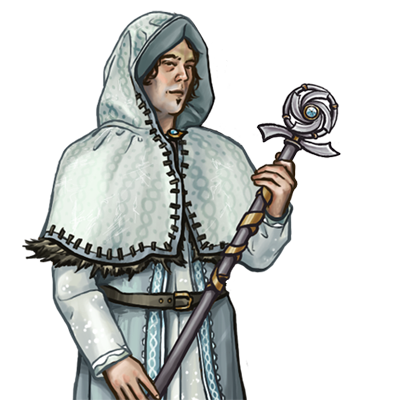 These men and women give up the life of a mage, and join monastic orders, dedicating the skills they have been given to the good of all. After their ordination, they often travel the world, ministering to sickness and injury. 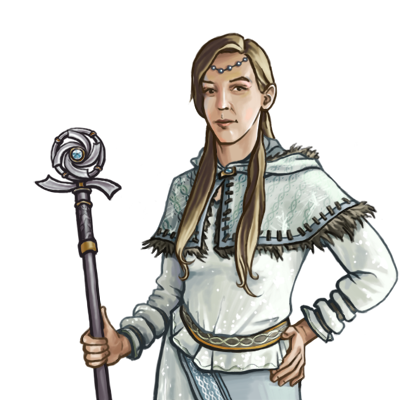 Though not trained for combat, they are a potent ally against magical or unnatural things. 특별히 참고할 것: 이 유닛은 언제나 높은 명중률을 보장받는 마법 공격을 가지고 있습니다. 이 유닛의 신령 공격은 마법적인 생물들에게 심대한 타격을 주며, 현실 생물들에게도 어느 정도의 타격을 줍니다. 이 유닛은 주변의 유닛들을 치료하며, 독을 치유할 수 있습니다.